Wolfgang Gartner is back with the release of his newest single off Kindergarten Records, “Piranha.” In typical Wolfgang fashion, his latest reflects it’s producer’s meticulous, artistic precision on this groovy, electro-house selection. 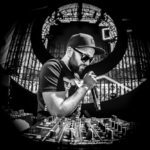 The Wolf spent the better part of the end of this year on his joint tour with fellow electro-house mate Tommy Trash, and now that the “Hounds of Hell” fun has come and gone, the “Space Junk” producer’s solo return to the studio has proven to be deadly. “Piranha” ties in all the elements Wolfgang Gartner has masterfully made his own. The 128bpm track features his distinct and unmistakable synth work, and includes sharp vocal samples that reflect an evident dedication to detail and accuracy. The prodding build is followed by a crescendo of vocal samples and a tasty drum break down, as the track rushes downstream into an energetic electro-house break. “Piranha” epitomizes the unmatched style of it’s creator, sending cool shivers through the listener, coming through like a school of blood-thirsty river monsters released by one of dance music’s most revered producers.